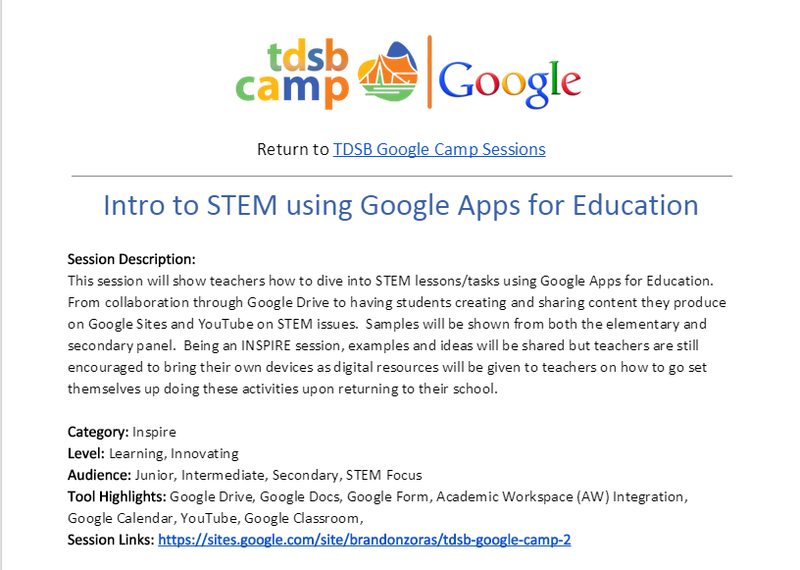 This session will model the use of Google Apps for Education within my class. From setting up a Google Site as a classroom site and updating the Google Calendar, to preparing all presentations using Google Presentation. Then moving to using Google Documents for collaboration and sharing within students and even other schools. Students also produce their own YouTube videos and embed them onto the site. Google Apps has been a simple to use and consistent platform to blend learning and teach students 21 century skills. Come to this session with an open mind and embed as many of the apps as you like into your own classes. An increasingly interdependent global economy, the global reach of information and communication technologies, human migration and the changing demographic fabric of communities are, for example, connecting people from around the globe more than ever before. Major challenges, whether in health, environment, poverty, or peace and security, require cooperation and more integrated responses that extend across borders and boundaries. Simultaneously, there has been growing agreement that schools and educational systems in Canada and worldwide should be doing more to prepare youth to engage in today’s world thoughtfully and responsibly. Not surprisingly, discussion about what global and international understandings and aspects of civic literacy are desirable for “21st century” teaching and learning has proliferated worldwide, as educational policy makers, researchers, and practitioners consider its many dimensions and inherent complexities (Mundy, 2008; Evans, M., Ingram, L., MacDonald, A., & Weber, N., 2009). A subset of the necessary understandings and skills include a knowledge base of how to prepare students for world-mindedness (Merryfield, 1998; Selby and Pike, 2000); how to cultivate critical literacy and planetary responsibility (Andreotti, 2006); and how to encourage deep understanding and civic action to redress global injustices (Davies, L., 2006; Oxfam, 2006). Central to this discussion, and aligned with the intent of the Education for All (EFA) goals, has been a focus on ways “to improve the quality of education.” Emerging notions of “globally competent teaching,” for example, are presenting difficult questions about the ways in which, for what purposes, and for who teaching and learning in schools is undertaken to strengthen learning that connects the local and the global. Since 2002 the Initial Teacher Education Program at the Ontario Institute for Studies in Education, University of Toronto has undertaken a series of professional learning partnership inquiries between university instructors and K-12 educators. The Inquiry-into-practice Series, based on a collaborative inquiry approach, has aimed to improve the quality of education in K-12 schools by deepening participants’ understanding of a range of educational questions and issues and improving practice. The most recent theme undertaken in the Series is entitled, Inquiry-into-practice: Teaching and learning global matters in local classrooms. Twelve projects were undertaken this past year with opportunities for teacher educators, teachers, and teacher candidates to explore promising and innovative classroom and/or school-wide practices that infuse international and global citizenship understandings and aspects of civic literacy in and across elementary and secondary curricula and instruction in Toronto and Greater Toronto Area (GTA) classrooms (e.g., Critical Global Citizenship: Teaching for Student Engagement and Action; Using children’s literature to develop students’ understanding of sustainability in science education; The Refugee experience: A literacy, media and inquiry approach towards a personal and global understanding of ‘home’; Learning about self and the world beyond: Cultural and religious clubs in high school; Growing environmental learning: Identifying strategies and supports for successful school-university partnerships in environmental and sustainability education). Data was collected within and across the projects with the intent to better understand promising and innovative classroom and/or school-wide practices that infuse international and global citizenship understandings and perspectives in ways that support learning in classrooms and schools with diverse student populations. This panel is unique in that its members represent various groups involved in the initiative and brings to the table administrators, researchers and study participants. We will be reporting on the intent and design of the project; a brief overview of sample projects (e.g., one, the trial and tribulations of preparing critical global educators; two, the need to redefine Indigeneity in local classrooms through global education; and three, the translation of international student teaching experiences to local classrooms); results from the data collected in relation to preferred purposes as well as practices and current scholarly literature in global citizenship education; and lastly, issues and challenges that were experienced. Particular attention will be given to Education for All’s goal “to improve the quality of education” and Ban Ki-moon’s recent announcement about the importance of strengthening global understanding and civic literacy among youth, identifying global citizenship education as a core pillar of the UN’s new Education First initiative. Andreotti, V. (2006). Soft versus critical global citizenship education in development education: Policy and practice. Centre for the Study of Social and Global Justice, Nottingham University, http://www.osdemethodology.org.uk. Collins, A., & Tierney, R. (2006). Teacher education accord: Values and ideals of the teaching profession in Canada. Education Canada, 46(4), 73-75. Davies, L. (2006). Global citizenship: Abstraction or framework for action? Educational Review, 58, 1, pp. 5-25. Evans, M., Ingram, L., MacDonald, A., and Weber, N. (2009). Mapping the global dimension of citizenship education in Canada: The complex interplay between theory, practice, and context. Citizenship, Teaching and Learning, 5, 2, 16-34. Merryfield, M. (1998). Pedagogy for global perspectives in education: Studies of teachers’ thinking and practice. Theory and Research in Social Education, 26, 3, 342-378. Mundy, K., Bickmore, K., Hayhoe, R., Madden, M., and Madjidi, K. (2008). Comparative and international education: Issues for teachers. Teacher’s College Press: New York. Oxfam. (2006). Education for Global Citizenship: A Guide for Schools (Vol. Booklet). London, England: Oxfam. Selby, D., & Pike, G. (2000). Civil Global Education: Relevant Learning for the Twenty- First Century. Convergence, XXXIII (1-2), 138-149. Presentation One: Brief opening remarks about the Inquiry-into-practice: Teaching and learning global matters in local classrooms initiative. This includes an overview of the aims of the initiative, the various inquiries undertaken, and an introduction to the panel presenters and their presentations. Global matters are often thought of as something happening “out there”, rather than dynamics that are deeply local, highly inter-relational, and intensely personal to Canadian classrooms. Critical reflexive practice (CRP) is one process for enabling teachers and learners to uncover that how “we” think about global issues can enable the very far-reaching, rights-infringing and oppressive structures that conventions such as EFA have been created to dismantle. Our study employed a vertical and longitudinal research design to investigate the rewards and challenges of critical reflexive practice experienced by three target populations: teacher educators, teacher candidates, and K-12 students. Over a three-year period, we researched participants’ experiences as they deeply engaged notions of perspective, identity, and difference through CRP. In this presentation we discuss the central findings and examine their implications for enacting a program of critical global citizenship education that invites learners to reflexively question: What and who is included in education for all? In order for EFA to be successful, educators need to know that issues of access, equity, and equality create barriers to schooling. A large part of the responsibility in changing these conditions lies with teachers. Teachers themselves require support in developing the necessary knowledge. International placements and teaching opportunities are one way to help teachers connect global issues to local classrooms. This project examined the perspectives of 14 teacher-candidates from the Initial Teacher Education Program at the Ontario Institute for Studies in Education (OISE). The candidates completed an international internship in May, 2012 in one of the following destinations: Costa Rica, India, and Uganda/Rwanda. Upon returning they were expected to design and deliver a Unit of Study in local classrooms based on their field experiences. This inquiry documents candidates’ voices on the meaning, value, professional and personal impact of the international teaching experiences. In addition, our research describes the challenges of having candidates consolidate learnings from international contexts and the implications this has for programs. The aim of this project is to explore ways that Aboriginal Education as a framework of “indigeneity” can contribute to a deeper understanding of the diverse Ontario student population. Inclusive education discourse in Canada generally refers to “Indigenous” in reference to Aboriginal/First Nations Peoples. Yet, in a context where Africentric schools and significant cultural and faith-centered communities comprise the Greater Toronto Area (GTA), Indigenous Education can serve as a framework to address diverse worldviews. When broadly conceptualized “indigeneity” refers to the beliefs, values, and ways of knowing that are rooted in a cultural heritage. In our examination, we followed four educators who were teaching diverse student populations. Our study explores how their teaching of “indigeneity” impacted curriculum-based learning and increased understandings of the “self”. We report on how specific practices positively influence student engagement in the classroom and teacher engagement in their work. The findings also identify that educators hold two distinct conceptions of indigeneity: one that emphasizes the marginalization of particular cultural heritages and another that focuses on the ways that individual lived experiences inform the way we know the world. Brief discussion of some of the preliminary results gleaned across the various inquiries. The results are discussed in relation to current and pertinent scholarly literature with particular attention given to the challenges of infusing global and international understandings and aspects of civic literacy in local Toronto/GTA elementary and secondary classrooms and schools in which student diversity is the norm. Consideration will also be given to the value and limitations of this form of professional learning that foregrounds professional inquiry and collaboration. 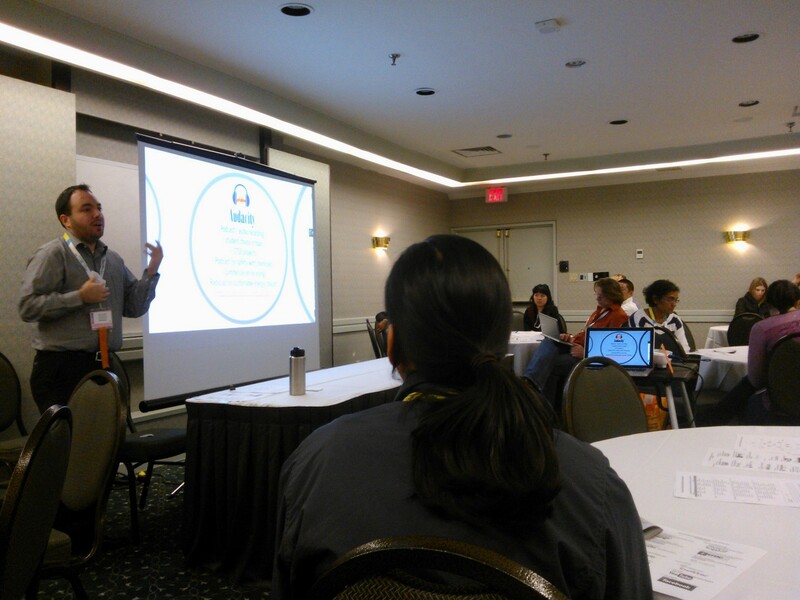 Presentation Six: Bringing Quality Education to a New Level – Strategies on how to help teachers connect the global and the local in Canada and beyond. The presenters highlight ten promising practices on how to make the global and local connection in Ontario and beyond. By drawing from all the inquiry practice projects, the directors answer what it means to be a global educator in the 21st century and offer quality education.